Saifee Burhani Upliftment Trust has emerged as the highest bidder at the auction of three properties belonging to fugitive underworld don and terrorist Dawood Ibrahim. MUMBAI: Mumbai-based Saifee Burhani Upliftment Trust (SBUT), an organisation of the influential Dawoodi Bohra community, has emerged as the highest bidder at the auction of three properties belonging to fugitive underworld don and terrorist Dawood Ibrahim. The properties were auctioned for Rs 11.06 crore in the Indian Merchants’ Chamber in Churchgate here amid tight security on Tuesday. “We submitted bids for and have won the auction for the three properties, which fall within the redevelopment jurisdiction of SBUT. These buildings are dilapidated and unfit for living. To ensure safety of the families living there, and to carry on with the redevelopment project, we participated in the bidding and acquired these properties,” an SBUT spokesperson said after the auction. The properties were taken over by the government after the March 1993 Mumbai serial bomb blasts, and were unsuccessfully put on the auction block at least thrice. The last unsuccessful attempt to auction them was two years ago. The previous auction attempts were unsuccessful due to fear of revenge from the fugitive don. However, this time, the caution money to be able to take part in the auction was increased to Rs 1 lakh to prevent non-serious bidders. It was also made clear that the caution money would be forfeited if a bidder created trouble at the auction. Tuesday’s auction was conducted by the Ministry of Finance under the Smugglers and Foreign Exchange Manipulators (Forfeiture of Property) Act, 1976. 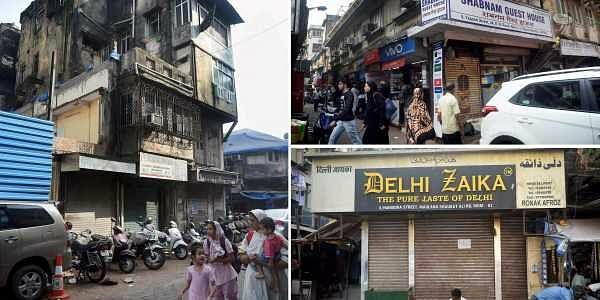 The three auctioned properties are Raunaq Afroz (also known as Delhi Zaika), Shabnam Guest House, and six rooms in the Damarwala Building on Pakmodia Street. They are located near Bhendi Bazaar in south Mumbai. The bids that were approved are Rs 4.53 crore for Hotel Raunaq Afroz, Rs 3 crore for Shabnam Guest House and Rs 3.53 crore for the six rooms in Damarwala Building. The total reserve price of these three properties was Rs 3.95 crore. SBUT acquired them for nearly thrice the (reserve) amount at Rs 11.06 crore.